How often should a person get a massage? What is a Signature Massage? Are the therapists at Balance Point Certified and Licensed? Do you do massage for Companies and Special Events? What makes Balance Point Massage different than other places that offer massage? Do you offer any other services besides massage? Can massage help reduce high blood pressure? Will your therapists come to my house for a massage? Do you take walk ins or same day appointments? How long are your massage sessions? The level of stress or type of lifestyle you lead. If you are receiving massages that are not very good at addressing your needs you will inevitably need more massages. However, if the quality of massage is good then you should need less since the results of the massage should have a more lasting effect. Secondly, if your lifestyle is very demanding then you will require more massage therapy no matter how good it is. If you are also involved in sports or any type of training regimen we recommend incorporating massage as part of your regimen to help your rest and recovery as well as prevent injury. A good guideline depending on your budget and your time is to come in every two weeks and if you aren’t able to come in this often then at least once a month. If this is a stretch, then you should come in at least once every 3 months at the minimum. Rather than offer certain types of massage (the types we learned in school) we offer massage that combines different massage styles. All of our therapists know different kinds of massage and we utilize different massage methods and techniques to get results. If we did what we learned in school as a route massage we would limit our techniques to a certain type of massage and thus would limit our ability to effectively gain results. Instead by blending different styles of massage you receive a tailored massage specifically geared to address your body needs. A Signature Massage is an integrative method of massage tailored specifically to address your needs. Combining different styles of massage to get the best results, our therapists integrate skill and intuition to help you feel better, faster! Your massage typically combines a blend of different massage methods according to your needs and the therapists unique style. We each have our own methods of addressing the body with the main focus of achieving lasting results. You could receive anywhere from 4-8 different methods of massage in any single session. Specific skill combined with the therapists intuition give your massage its own signature. Deep Tissue massage is a method of massage intended to address the deeper layers of muscle and myofascial tissues (Thin filament surrounding the muscles). There are many methods of Deep Tissue work but the results are focused on reaching the areas that are, under normal circumstances, untouchable and cause us much pain and distress. You know those ‘knots’ underneath the shoulder blade or muscles so tight that it is hard to penetrate. Deep Tissue work is also used to address injury related conditions to break up scar tissue and promote proper healing of the underlying tissues. Yes, all of our therapists are Certified by the NCBTMB and Licensed in the City of San Diego. Yes, we like to come out to companies and special events. We can offer both table and chair massage depending on your needs. The differences between a relaxing massage and a therapeutic massage is very subtle and subject to varying opinions. Both massages are actually very therapeutic in that they provide us with relief. In my experience the only way we can relax is knowing that we will be receiving a good massage. This of course is very subjective and depends on the person receiving the massage to judge. Most of us would consider a relaxing massage to be one in which the pressure of the techniques (usually light to medium) are such that you can “relax and enjoy the touch”. Whereas a therapeutic massage has techniques that vary from firm to deep and can often somewhat be intense. The massage often entail much more focused breathing to enhance the release of tension, stress and toxins in the body. In addition, the massage can also be more focused on certain areas of the body vs. the entire body. What makes Balance Point Massage different than any other place that offers massage therapy? Balance Point is different than other places that offer massage in that there is a focus on retaining excellent massage therapists who not only have proven their educational background but bring to the table a massage that is flowing, high quality and very intuitive in nature. Being able to locate and spend time on addressing the proper areas of your body to give you lasting results. Yes. Not at this time, our vision is to keep our clinic simple with a focus on providing only the best in massage. Yes, depending on the origin of the pain, massage therapy can often address the specific areas that are affecting you and get rid of the pain for good. Sometimes the work can be very painful but the relief you will experience far exceeds any pain that you may experience during the massage. At times the pain that you once experienced before the massage will altogether go away. We find this to be the case when the origin of the pain is from an accident or past trauma. If it doesn’t completely go away then you would reasonably expect definite relief and then go on a maintenance plan of massage to manage the pain to tolerable levels so as to enhance the quality of your life. Yes, by improving circulation of the blood in your body, the massage helps the heart get a break. The result is increased blood flow and lower blood pressure because the heart does not have to work as hard to pump the blood through the body. Relaxation allows the body to be less tense and enhances the bodies ability to create the proper blood flow throughout the body. We are open 7 days a week from 10 AM until 9 PM during the weekdays and 10 AM - 6 PM on Saturday and Sunday. We encourage you to schedule an appointment in advance to get your preferred time. Yes, some of our therapists will do a house calls. The rates are from $100.00 - $120.00/Hour. 90 Minute Sessions may also be scheduled. The rates are from $130.00 - 150.00/Hour. Cash payments Only. In order to get your preferred appointment times, we encourage you to set your appointment as far in advance as possible. If you would like to come in on a regular basis we recommend booking your appointment each time you visit us so you can always ensure that you will get the appointment time best suited for you. Yes, if we are in the office and have on opening available we will be glad to work on you on short notice. If you cannot schedule an appointment in advance and wish to come in on the same day we will always try to accommodate your request. However, we may not always be able to see you depending on the levels of business and therapist availablility. Nevertheless, we encourage you to give us a call no matter what. 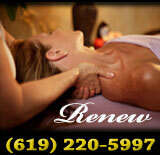 We understand that most of us have busy schedules and we are not always sure when we can get a massage. Massages are scheduled typiocally scheduled for 60 or 90 Minutes. A 60 minute massage allows individuals to have enough time for the massage therapist to address all the requested areas. Most of our therapists like to give longer massages so they can have the necessary time to address your entire body as needed.